Earth is one of the nine outer space planets that go around the sun. There are other objects that go around the sun such as asteroids, comets and dust particles. Together they are all part of the solar system. Our solar system is in the Milky Way galaxy. Mercury is named after the messenger of the Roman gods. Jupiter is named after the king of the Roman gods. Uranus is named after the ancient Greek god of the sky. It is looks much larger than the night stars because it is much closer to us. 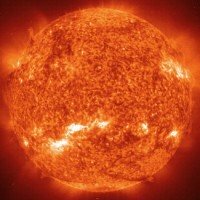 The sun's gravity attracts all objects to it and to one another. It is what keeps the solar system together. Mercury is a small planet. It is the closest of all outer space planets to the sun. On it's hot side (the side facing the sun) it is twice as hot as a kitchen oven and on it's cold side it is colder than Antarctica. 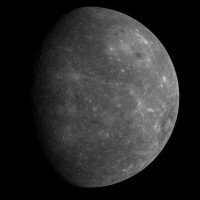 Mercury does not have any moons, water, or air (an atmosphere). It is rocky and has craters (holes on it's surface). Venus is about the same size as earth. It is always covered with white clouds and the air around it is poisonous. 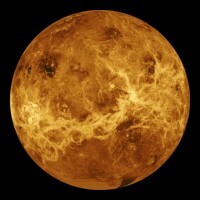 Venus is the hottest planet, it's surface is covered with lava. We live on the third 'rock' from the sun. Our planet is mainly covered with water. 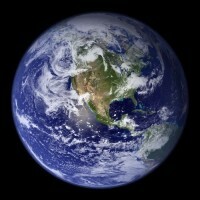 Earth is the home of million living things. Can you spot life on earth? From plants, to animals, birds, fish. Our earth is surrounded by the atmosphere (air) which helps us breathe. 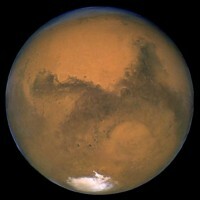 Mars is also known as the red planet because it's surface is covered with rusty colored rock and dust. Mars has large volcanoes and giant canyons. The atmosphere in Mars is too thin for people can not breathe on Mars. People found signs that once there was water on Mars. 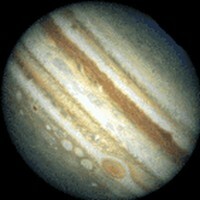 Jupiter is the first of four giant outer space planets. It is in fact made out of gas and if you could find a large enough bath tub, Jupiter would float. Large clouds travel around this planet, they are mostly orange and white. The winds blow these clouds in opposite directions which is what makes Jupiter look like it has stripes. 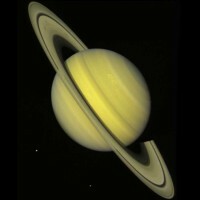 Saturn is the second giant planet. You can see Saturn's rings from earth with a telescope. It has thousands of narrow rings circling it. These rings are made out of rock, ice and dust. Did you know? Saturn's clouds are the color of butterscotch! Uranus is the third giant planet. It is about four times larger than earth. The chemicals on this planet make it look green. 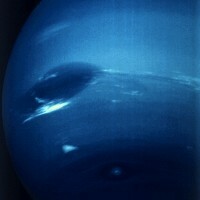 Neptune is the last giant planet. 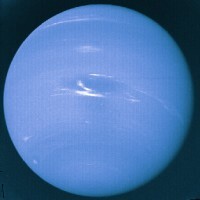 It is blue and is about the same size as Uranus.